Many surplus reference oscillators are appearing on the market today at such places as E-Bay and your local surplus shops. One such example are the Isotemp Oven Controlled Oscillators (OCXO). Some Isotemp OCXO 33 Series and OCXO 82 Series units have become available lately. While the datasheet proclaims the units to have a Sinewave output, examination with a 100MHz oscilloscope reveals that the units typically produce a distorted Sinewave. Cleaning up the wave shape is not difficult using a 9 section Lowpass Filter designed for a 50 ohm termination on both ports. 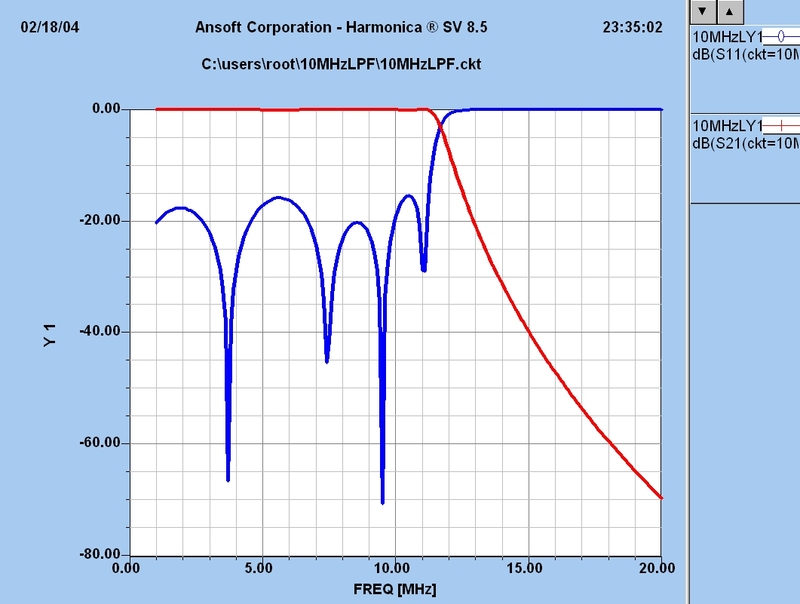 The filter was designed and simulated using Ansoft's Serenade V8.5 RF design package. The filter was also designed with standard off-the-shelf part values so that duplication by anyone using parts from places like DigiKey or Mouser would be easier. 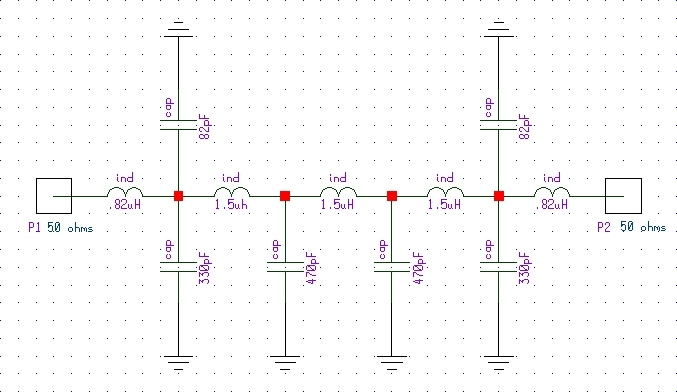 The filter is simple to construct, and techniques such as point-to-point wiring can be used if needed, or a printed circuit board could be designed.